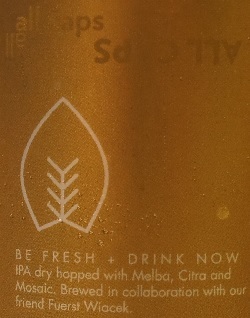 Brewer Description: (from can) IPA dry hopped with Melba, Citra and Mosaic. 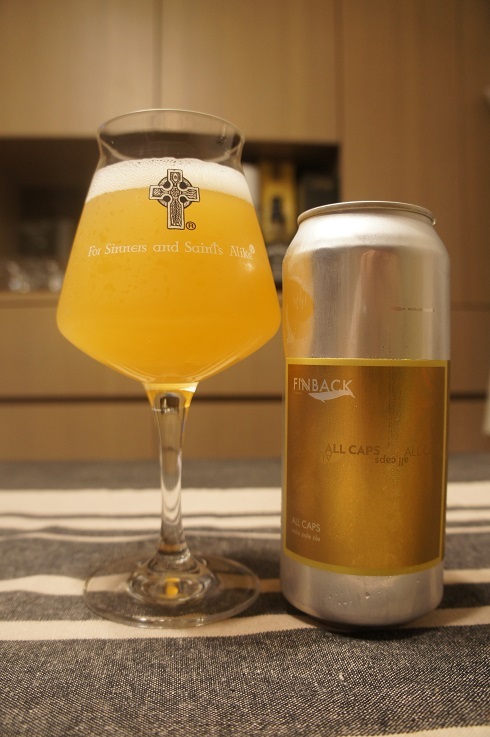 Brewed in collaboration with our friend Fuerst Wiacek. Appearance: A hazy golden straw yellow colour with a one finger white head that dissipated fairly quickly but left some nice lacing. Aroma: Juicy and tropical mango, peach, apricot, pineapple and lemon zest. Taste: Not what I was expecting given the aroma. Just pineapple from the tropical side along with citrus lemon and lime with perhaps some grassy, herbal and floral notes. Finish is lightly bitter. Overall: Great tropical aromas which didn’t translate in the taste, although still quite nice and definitely refreshing. Just not as ‘juicy’ as I had hoped for given the wonderful aroma.